Prince: An Original Life in Pictures paints an amazing picture of the artist, through personal anecdotes gleaned from his entourage and beautiful photography. 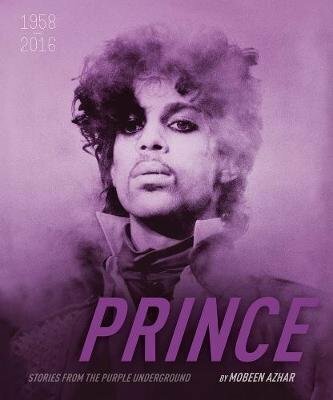 Mobeen Azhar has interviewed the artist's friends specifically for this book in order to find out what the man behind iconic albums such as Purple Rain was really like. Prince was a paragon of artistry and individuality, a symbol (quite literally, at one point in his career) of independence, a man who lived for the art of his music. He chose to position himself outside the confines of the music industry and recorded, played and performed the way he wanted to. And it worked: his fans were devoted, his influence was huge, his music popular around the world, and his live shows legendary, while news of his untimely death was met with shock and sadness.